Compatibilità: Richiede iOS 11.2 o successivo. 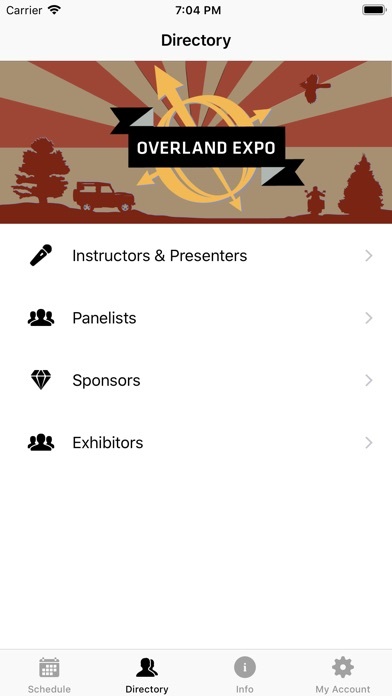 The official app for Overland Expo WEST 2019! 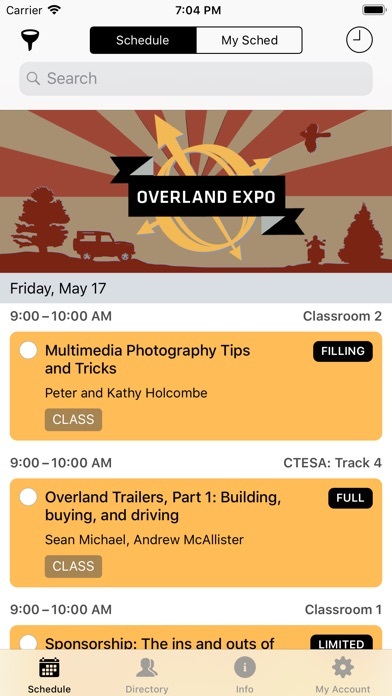 App Features: *Full Schedule* Browse the entire schedule for Overland Expo WEST 2019. You can filter by color-coded types, venues or search for what you need. Get the full details of every event without having to crack open an event guide. *My Schedule* If you have already created a schedule online, you can login to view it on your phone and make on-the-go changes. If you are new, create an account and instantly save your favorites. *Offline Caching* Fully equipped with offline storage to make sure you always have your schedule, even if your connection drops. Visit https://overlandexpo2019west.sched.com for additional event information.